Mining operation involves a variety of heavy machinery that is used for exploration and processing of metals and minerals extracted from the ground. This industrial machinery is subject to moderate to heavy vibration and it's critical to trend vibration levels in order to ensure equipment health. 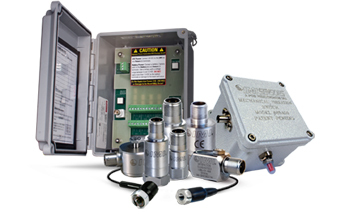 IMI offers a full line of ICP® accelerometers, high temperature sensors, 4-20 mA transmitters and vibration switches to monitor machinery typically used in the mining industry.